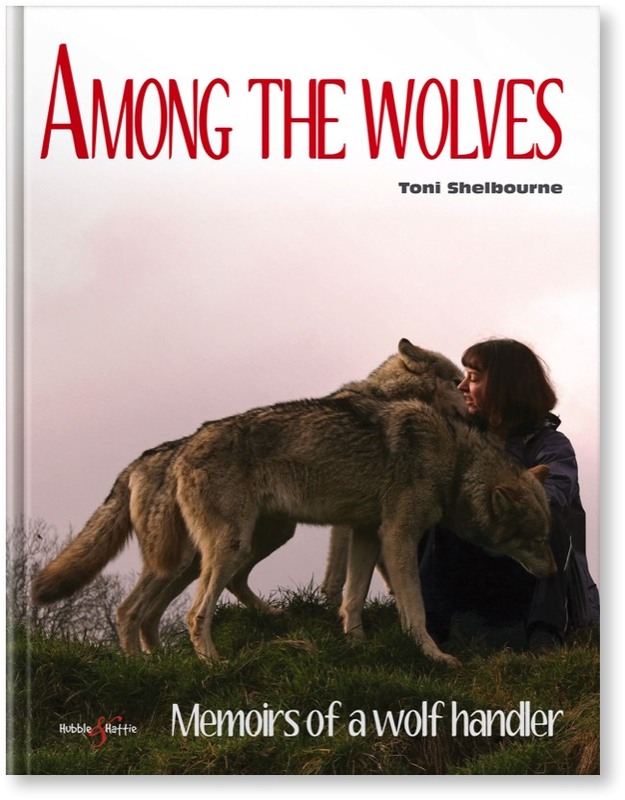 The fascinating story of Toni’s life with eleven charismatic wolves at the UK Wolf Conservation Trust, Berkshire, England. Over ten years she handled, raised, cared for and nursed these amazing creatures, and within these pages you will come to know the characters; laugh at their sense of fun, mourn at their passing – and learn to love them as she does. Born in 1969 into a family mad about animals it seemed only natural that Toni should be destined for a career with them. Toni says ‘animals just walked into our lives, sometimes arriving injured others just flying in the window’. Between 1989 and 2000 she worked for The Guide Dogs for the Blind Association. She quickly progressed from kennel staff to supervisor and then on to the staff training department where she managed all the City and Guilds kennel programmes, writing and marking exams etc. In 1997 Toni studied under Linda Tellington – Jones and other top Tellington TTouch Instructors to become a registered level 1 Tellington TTouch Companion Animal Practitioner. She was one of the first to qualify in the UK and has really seen TTouch grow over the years in this country. In September 2000 she left GDBA to pursue her passion for the Tellington TTouch Training Method and has been practising ever since. Toni is now one of the highest qualified practitioners in the UK. In 2004 she duel qualified as an equine practitioner, although chooses to concentrate on companion and captive wild animals. Toni has appeared along side Sarah Fisher in the hit TV series ‘Talking to Animals’ and has also been featured in articles for ‘Dogs Today’ and ‘Your Dog’ magazine. As well as working privately with clients, Toni runs workshops and gives talks and demos. She also works closely with a number of rescue shelters and assistant dogs organisations.